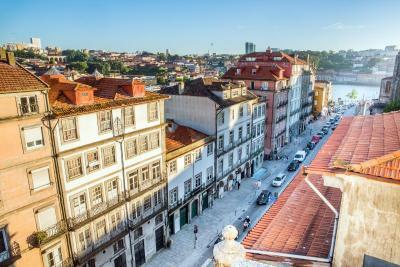 Lock in a great price for The House Ribeira Porto Hotel – rated 8.9 by recent guests! The location was great right in the center .Ines &marta at the reception are so helpful &friendly .bus & taxi are infront of the hotel . The people at the front desk wherever friendly and extremely helpful. The staff is what really makes this proerty so special. Every employee I dealt with was extremely friendly and knowledgeable and just went out of their way to make you happy. My room was a bit on the smaller side, but they promised a "quiet room" and they delivered. The room was very quiet and comfortable. Excellent location! Easy walking to the river—one block away, with many restaurants from which to choose. Public transportation easily accessed. Hotel has been beautifully updated so it was fresh and inviting. All the staff were gracious, friendly, very helpful, and quite conversant in English making it very easy for us. Upon check in they greeted us with a glass of port! Parking was about a block away. Excellent breakfast sustained us for the day. Kind staff. Good price. Good location. Good egg tart! Tour guide using the personal traveller helper, My buddy, was very helpful. The walking tour course suggested by the staffs was very useful. Most of the staff were great, and the location was perfect. It is a lovely hotel. 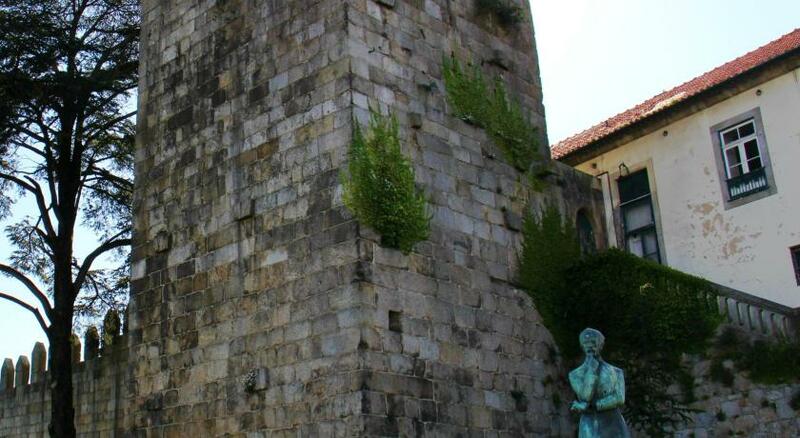 The location is great, near the Douro. The property has been recently upgraded with top notch furnishings. The hotel staff was friendly and very helpful . The hotel offered a wide variety of wines and other refreshments ( as well as food) for sale. The location is ideal for access to riverfront bars and restaurants. Very convenient to the pedestrian walkway to Wine Cellar area and river cruises. Extremely useful and friendly staff. Also, a smartphone with free internet and calls was included in the stay, which I thought was very nice and unexpected. 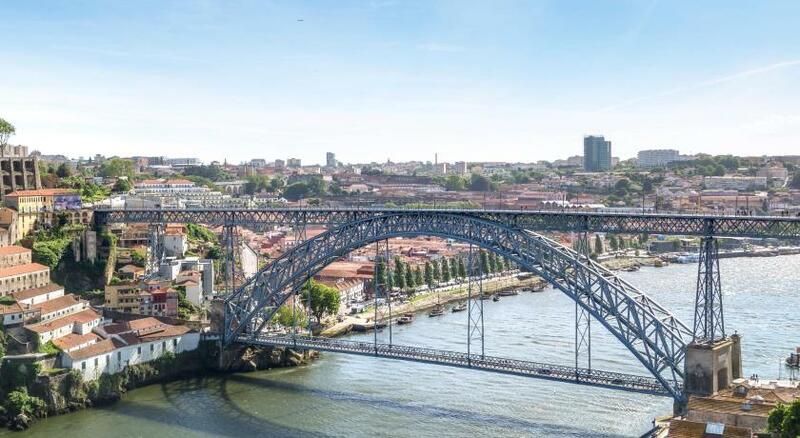 The House Ribeira Porto Hotel This rating is a reflection of how the property compares to the industry standard when it comes to price, facilities and services available. It's based on a self-evaluation by the property. Use this rating to help choose your stay! 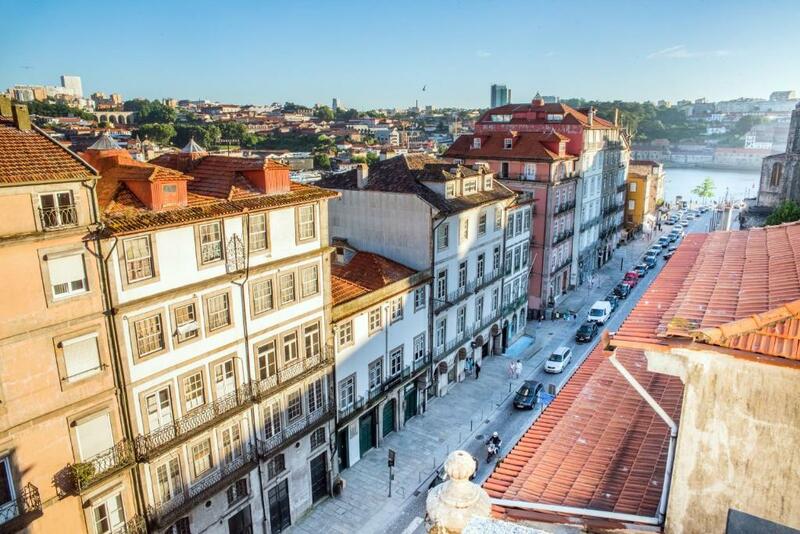 One of our top picks in Porto.Featuring free WiFi, The House Ribeira Porto Hotel is set in Porto, 350 feet from Palacio da Bolsa. Guests can enjoy the on-site bar. The rooms are fitted with a flat-screen TV. Every room comes with a private bathroom. For guests' convenience, there is a 24-hour front desk at the property. The hotel also offers car hire. 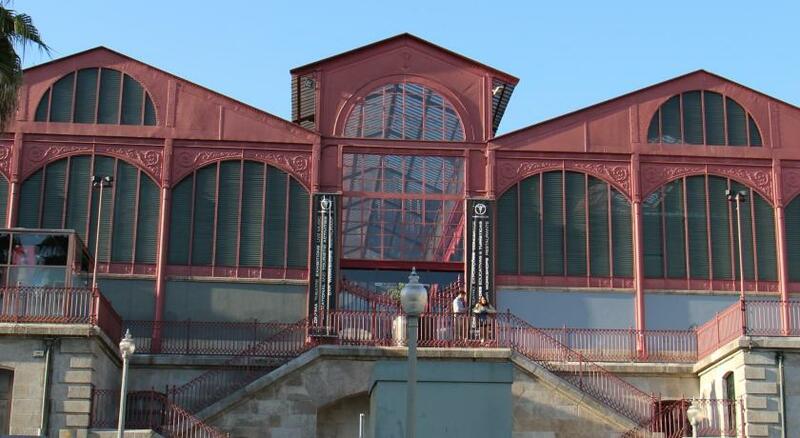 Ferreira Borges Market is 350 feet from The House Ribeira Porto Hotel, while Ribeira - UNESCO World Heritage is 650 feet away. Porto Airport is 7.5 mi from the property. 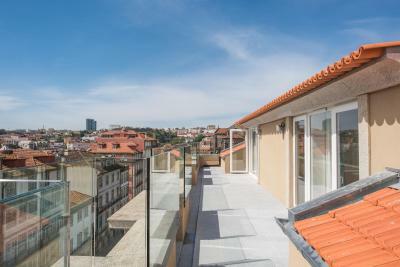 This property also has one of the top-rated locations in Porto! Guests are happier about it compared to other properties in the area. 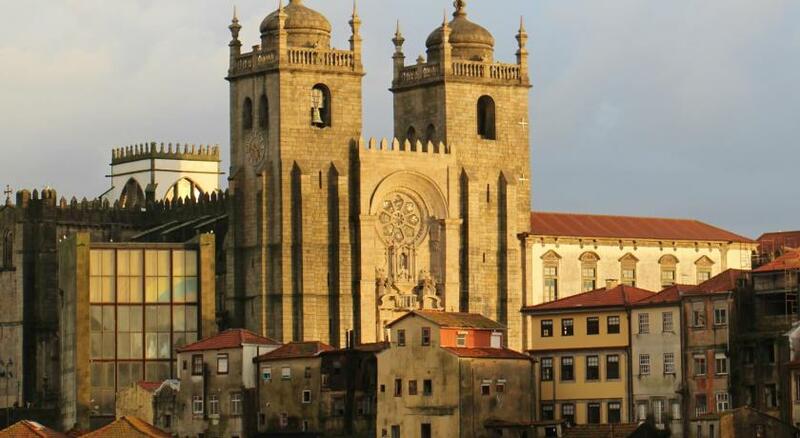 When would you like to stay at The House Ribeira Porto Hotel? This suite has a balcony, private entrance and tea/coffee maker. At the historical district, in a fully renovated building, the hotel offers a casual and contemporary setting, with a décor that reflects the unique personality of the city and its culture. Hotel surroundings – This neighborhood is a great choice for travelers interested in atmosphere, walking and architecture – Check location Excellent location – show map Guests loved walking around the neighborhood! Porto's old town is full of crumbling pastel-colored houses. It's peaceful and relatively untouched – despite being designated a UNESCO World Heritage Site, it's still off most tourists' radars. House Rules The House Ribeira Porto Hotel takes special requests – add in the next step! All children under 12 years are charged EUR 30 per night for extra beds. The House Ribeira Porto Hotel accepts these cards and reserves the right to temporarily hold an amount prior to arrival. Guests requiring an invoice should include their invoicing details (name, address and VAT number) in the Special Requests box when booking. Please note that invoices cannot be changed after they are emitted. The credit card used at time of booking must be valid for the entire stay. Please present the credit card used to make your reservation upon check-in at the hotel. Please note that in the event that you cannot produce the same credit card the hotel reserves the right to ask for an alternative method of payment. Please note that the hotel does not accept third party bookings paid by credit card. Please contact the hotel directly for information regarding bank transfers. All extra beds requests are subject to availability. Executive double room was small with insufficient storage. Cooked food at breakfast was poor. Bed was a small double rather than king size. Decor of hotel is very pleasant. 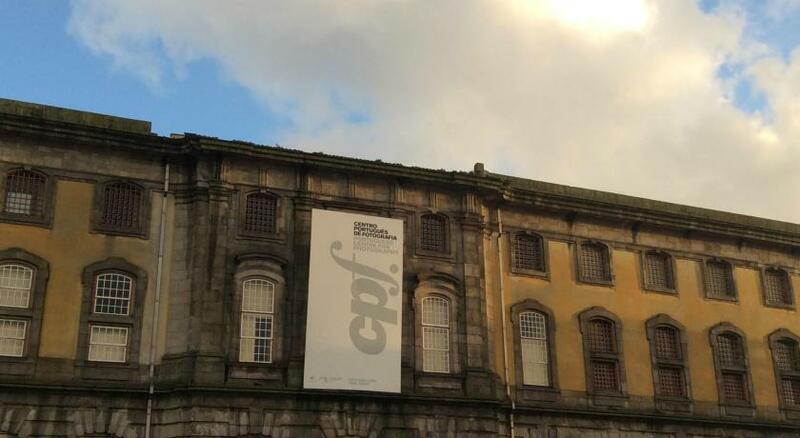 Room had small balcony and was at back of hotel so quiet for central Porto. Staff pleasant and helpful. Location very good near to river. Breakfast buffet good apart from cooked food. The wifi in the room was poor . There was an unpleasant odor in the room . The breakfast was very good and the staff very friendly. My daughter has celiac so she needs gluten free breakfast and the hotel provided her bread and cake both gluten free . They also made special gluten free pancakes for her and that was an enormous surprise !! (the first hotel to do that for her).Big like !!! The hotel was great situated. The room was on the small side but perfectly comfortable and well serviced each day. The team at the Hotel we found to be very attentive in that they really could not have done more for us. Extremely friendly throughout our stay - indeed we could not have found fault at all from the moment we checked in. All staff were wonderful to us. The breakfast was very good; especially liked the coffee machine and the breakfast pastries. The location was perfect. We liked it all. There was nothing to disagree with or dislike. The location is good, the room quiet and comfortable. The staff were exceptionally friendly and helpful. 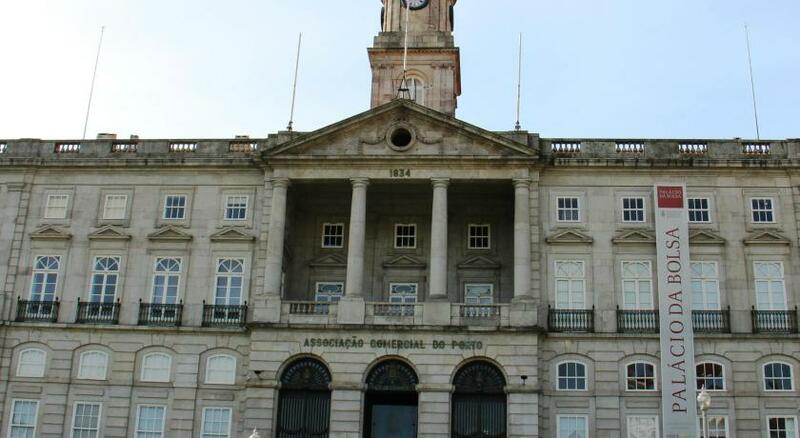 Close to the ribeira square. Staff very helpful especially Rita, they can recommended you everything in Porto. Room was clean and quiet. Location, breakfast, and great staff. 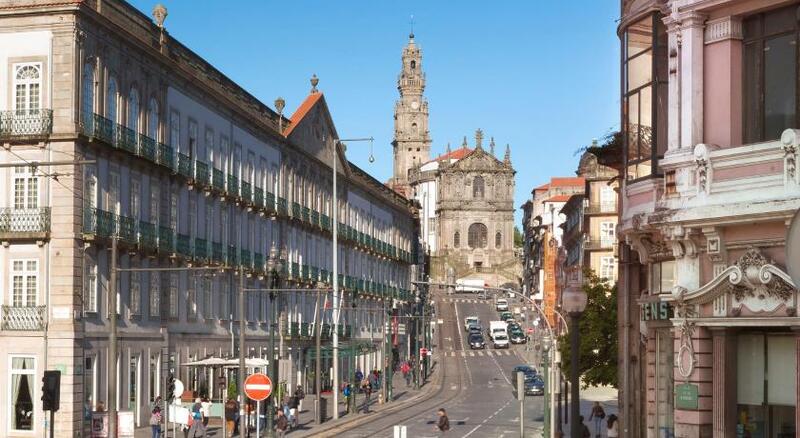 Very nice hotel in Porto. ATM, Taxi, Tram, Bus , shop, restaurant near the hotel. Good breakfast. The room I was initially given faced the street. Suffice it to say, it was loud. It also received a lot of sun exposure which made it quite hot. So I asked for a new room and was given a room on the other side of the building that was slightly smaller but quiet and cool. I deeply appreciated this! Great location, amazing staff, comfortable room, great breakfast. Difficulty arriving by car because of construction blocking part of sidewalk and taxi stand. Very friendly staff. Good breakfast(food). Very clean room.